I have woken from the dream-like experience that is the Edinburgh Fringe Festival. I blinked and almost missed it - three days are not enough for a keen theatregoer. With over 3,000 shows to choose from and far too few hours in the day, you can reasonably expect to see 4 or 5 shows; perhaps more if you forego eating, sleeping and all other necessary functions that we need as living organisms. Not to mention simply absorbing the atmosphere of the festival by strolling down the royal mile, watching the street performers, being handed enough flyers to re-wallpaper my flat. It may have flown past in a hazy blur of mashed together shows, but it was an theatrical experience like no other, which every theatre goer should have. I will definitely be returning again - maybe with more planning next time so I can go for longer without having to sell all my possessions/pets/mother. Generation of Z - (of course) I'm a big zombie fan. I've been watching zombie movies since I was about 10 and read lots of zombie books - I was mid 'World War Z' by Max Brooks at the time. This is an immersive theatrical experience that takes you into the bunkers in a zombie infested zone, where your help may be required to complete the mission. Freak - I went to see this on a whim. I'd looked on the Fringe app for shows starting nearby & soon and this caught my eye, but boy am I glad I did. It's written by Bruntwood prize winner Anna Jordan. I think it would appeal more to women as it's about the struggle of 2 women with their sexual identities and is both devastating and hilarious. Axis of Awesome - Comedy music trio who gained popularity on YouTube, though I only first heard of them through fringe related podcasts. This was a high energy evening, with hilarious songs. Check out 'four chords' and 'rage of thrones' for a taster. The Improv Musical - I was so excited by the concept of this and was not disappointed. The audience decide the location, the characters and the title of the musical and the actors respond as it goes along and manage to be clever and witty too. I was there the same evening as Stephen K Amos for "We Need More Hexagons" - a musical set in a Irn Bru factory. 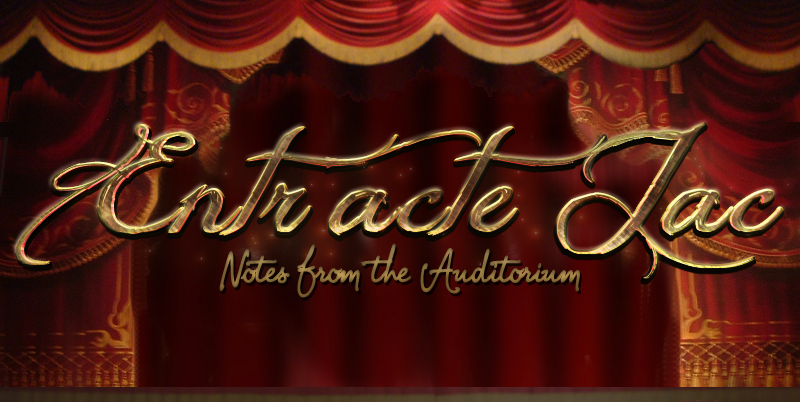 The Lock In Cabaret - It's late, but you're not ready for sleep yet. Where better to head than the Voodoo rooms for your late night fringe. There's plenty of free cabaret there, but this was my favourite and I got to participate in one of the magic tricks too. I mentioned the fringe app above and I have to recommend that you download this to your phone before you go - its got a full list of shows and venues, the incredibly useful "nearby and now" facility , 'your fringe' which lists everything you've booked, maps to the venues and the ability to book tickets as you walk about, saving you queuing time and ensuring you have those tickets secured for when you arrive at the venue. It is also a lot less cumbersome to carry round than the massive Fringe programme. I wish I hadn't waited so long to go, as I've been talking about it for years but now I have, I will definitely be a returning customer. I've been a little blog-shy recently; A result of not seeing many shows this year and being busy with other projects (theatre related). I've thrown myself into learning to dance and recently started working with a lovely lady called Victoria who runs a bespoke prop making company here in Wales. She's self-taught, incredibly talented and I'm learning lots from her. 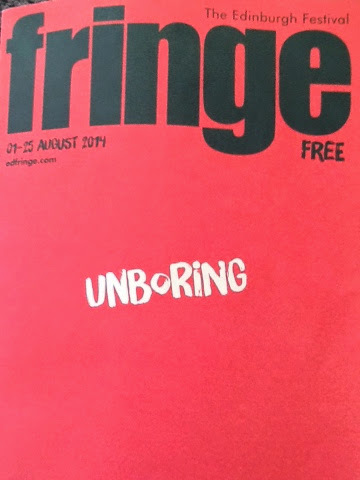 The reason I haven't seen many shows this year, though, is because I decided that this was the year I'd go to the Edinburgh Festival Fringe (or Edinburgh Fringe Festival as it's more commonly known). I've talked about going for years and years but have never made the trek up there. I've got a couple of shows booked at the fringe but I didn't want to plan too much as I'm really excited to discover new things that I may not take a chance on normally, which comes from the spontaneity of the moment.